Written and directed by Light Chaser founder Gary Wang, the film takes its inspiration from the decorative home ornaments that many Asian cultures believe will protect their households from misfortune. 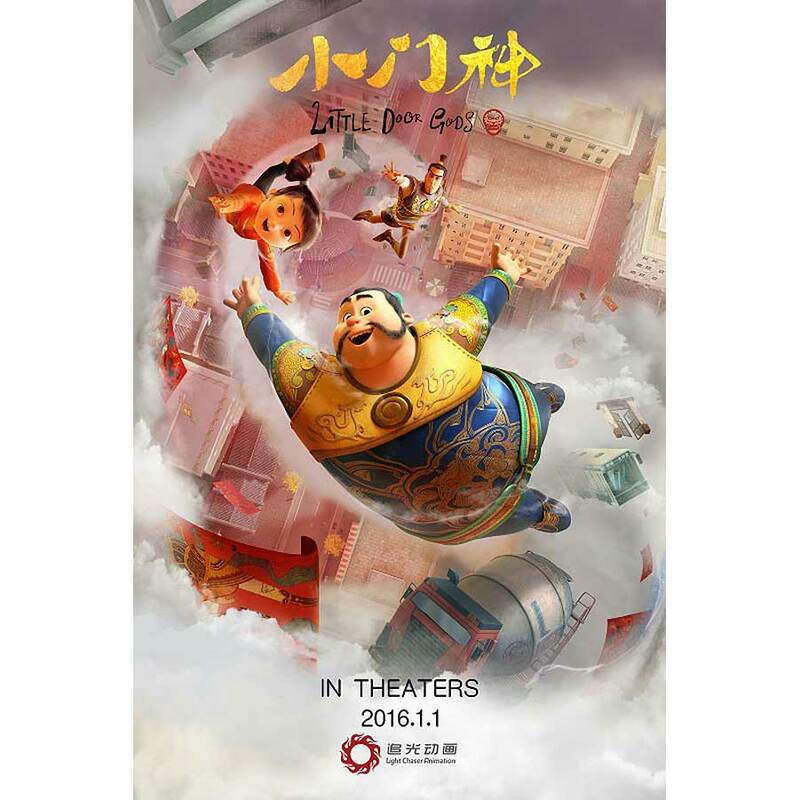 In Little Door Gods,two Door Gods in modern-day China face unemployment in the spirit world, as few people believe in their spiritual powers anymore, and one of the gods decides to venture into the human world to create trouble in order to prove his value. Prior to launching Light Chaser, Wang founded Tudou.com, a Chinese equivalent to YouTube. Approaching animation production with a tech entrepreneur’s sensibility, Wang has employed novel technologies during the production of Little Door Gods, such as a telepresence robot to facilitate communication between his Beijing staff and animation supervisors based in the United States. His company is backed by at least US$20 million in VC funding from GGV Capital and Chengwei Capital. The studio, which started production on the $12 million film in January 2013 and has now moved into post-production, is touting the high-quality ofLittle Door Gods, reporting that the film took 80 million render hours, and that its music and sound effects were produced in Dolby Atmos, a first for a domestic Chinese production. No American release has been set at this time.